Recycled rubber products can give your backyard oasis a boost – but what about the other side of your home? Now that summer has officially arrived, it’s a great time of year to entertain. Whether you’re planning a dinner with friends or a movie night with the neighbours, chances are you may be seeing more visitors make their way up to your door. It’s time to consider sprucing up your front yard to welcome them with a great first impression. When you think about a driveway, you might picture concrete, asphalt, interlocking bricks or stone. But an alternative option you may not be aware of is rubber paving, which is made from recycled rubber tires. Rubber paving is an aesthetically-pleasing alternative that can be laid on top of virtually any surface, so there’s no demolition required. Often, the first step any visitors will take when they arrive at your house is onto your driveway. If you’re facing a driveway with numerous cracks or pesky weeds, rubber paving gives a seamless look and helps restore damage. It’s also perfect for our unpredictable Ontario climate as it’s durable and stable – great for when the cold weather ultimately returns. If you have a walkway connected to your front door, entry way or backyard, your guests will typically traverse the path on their way to you. 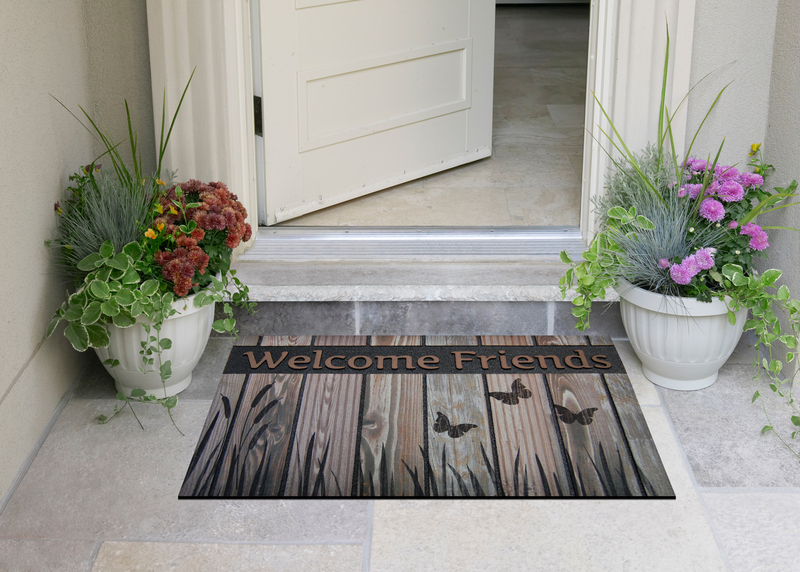 Thankfully, there are easy ways to jazz up the path to help welcome visitors to your home. 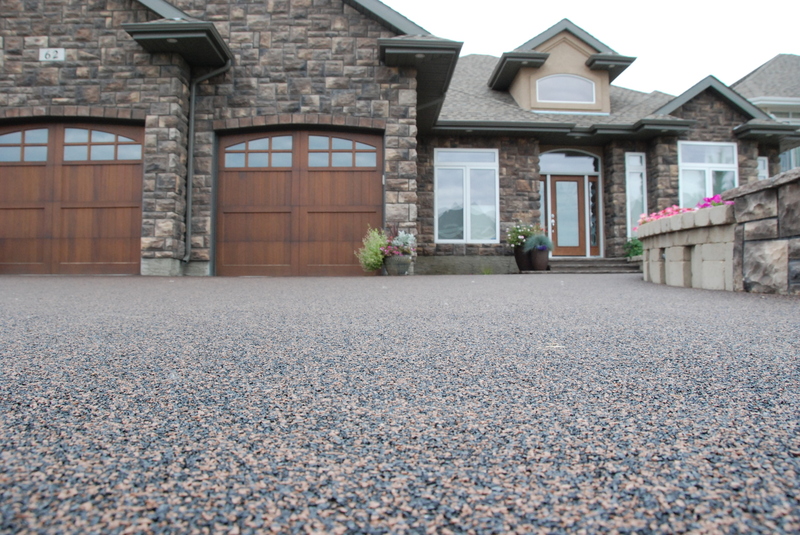 If you’d like your walkway to match your driveway, rubber paving is an option that will help the front of your house appear cohesive and stylish. To put a spin on a brick walkway, you can also use recycled rubber bricks. They offer a safe, non-slip surface that is durable in all seasons. 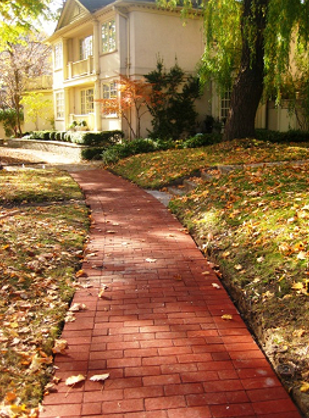 Rubber bricks are generally faster to install than traditional brick pavers – the perfect project for busy schedules! From your walkway to your front door, planters can offer a personal touch that brings out your design aesthetic and personality. If you are looking to make your front entry area more inviting, planters from Multy Home, which are made from Ontario recycled rubber, are an attractive eco-friendly option. Some lush greenery or pops of colour in a sustainable planter might be the addition you need to create a welcoming atmosphere for your next summer shindig. The good news is that planters aren’t only for the summer months. There are all-season planters that are long-lasting and durable – not to mention low-maintenance, which is ideal if you don’t have a green thumb. Boosting your home’s curb appeal doesn’t have to be a long-term project. There are small touches you can make to help welcome your guests and start any visit off on a positive note. And if you’re ready to tackle your garden next, check out some tips on how to create an eco-friendly garden with recycled materials.